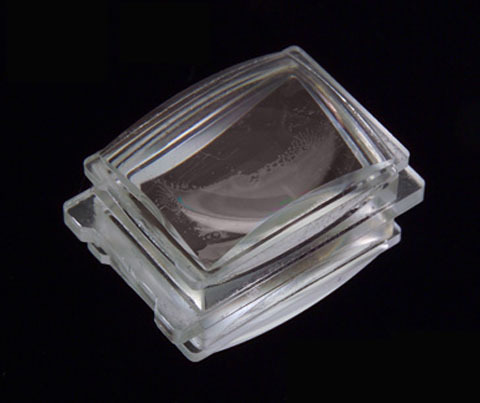 With Syntec Optics you can choose diamond-turned finished optics or molded Optics, confident that both will perform identically. We can diamond-turn prototypes in less than four weeks. Diamond turning prototypes reduces the total time and cost for product development by overlapping the time needed to create/change molds. Once developed, if projected volumes are low, diamond-turned parts either eliminate or defer the need for a mold, e.g., until usage reaches certain levels. 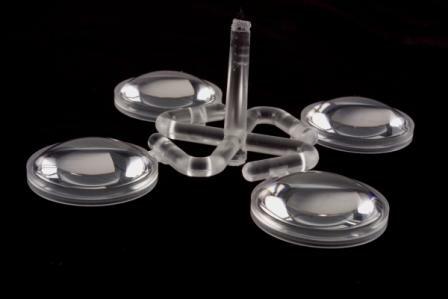 For Diamond Turned Finished Custom Optics, SyntecOptics.com is your destination. From many complex shapes like Free Form Optics to Parabolas, Ellipses and Torics, we are ready to assist with your project.